In his 18-year career with Cincinnati, Larkin batted for a .295 batting average, with 2340 hits, 198 home runs, 960 RBI, 1329 runs scored and 379 stolen bases. Baseball historian and expert Bill James has called Larkin one of the greatest shortstops of all time. After arriving in the majors, Larkin soon established himself as the logical heir to Dave Concepcion’s legacy. 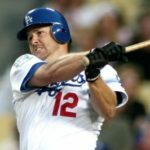 In 1988 Larkin lead all Major Leaguers by striking out only 24 times in 588 at bats. Larkin batted .351 in the 1990 World Series to lead the Reds to a four game sweep of the Oakland Athletics. On June 27-28 1991, Larkin became the first shortstop to ever hit five total home runs over the course of two consecutive major league games. In 1993 he won the Roberto Clemente Award. Larkin was sixth in batting (.319) and second in stolen bases (51) to win the National League’s MVP award in 1995. 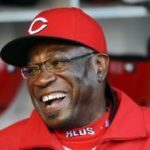 He led the Reds to a central division title and the 1995 National League Championship Series. 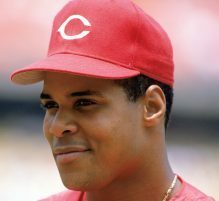 In 1996, Larkin hit a career-high 33 home runs and was named the Reds’ captain before the 1997 season (the first player to hold the honor since Concepcion’s retirement). 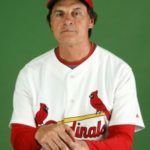 Despite being injury-prone, Larkin won the Gold Glove Award from 1994-1996, and was a 12-time All-Star: in the 1988-1991, 1993-1997, 1999, 2000, and 2004 seasons. 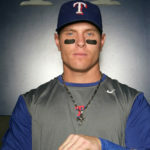 He became the first major league shortstop to join the 30-30 club when he had 33 home runs and 36 stolen bases in 1996. In 2008, Larkin released a charity wine called ”Barry Larkin’s Merlot” with 100% of his proceeds supporting Champions Sports Foundation. Larkin built the Champions Sports Complex to harness the power of sport and use it to successfully develop the youth in America by targeting their social, emotional, and educational needs. The Foundation was established as the premier safe haven for the total development of young people through the authority of sport.